In sub-Saharan Africa, the agricultural sector involves a very large share of the population. But yet, 153 million people still suffer from severe food insecurity. Rural poverty is explained by the lack of production means, the limited economic prospects as well as the low level of education and skills. But poverty is also the result of less controllable events such as bad crops, sudden illness or climatic hazards. 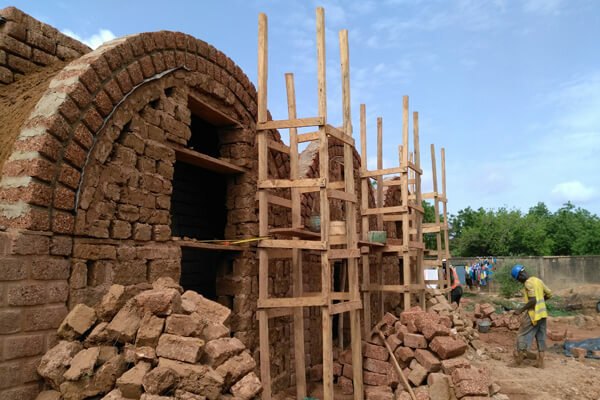 Through its rural development projects in Burkina Faso, Togo and Chad, Morija seeks to build infrastructures to improve health, reduce poverty and food insecurity and protect the environment, but also to provide people with the skills and tools needed to develop their community. Morija’s objective is to help reach by 2030 the Sustainable Development Goals set by UN in 2015. Eliminate hunger, ensure food security, improve nutrition and promote agriculture. 64% of the population lives in rural areas in our four countries of intervention (Burkina Faso, Togo, Chad, Cameroon). In Burkina Faso, the rural sector involves 86% of the population and contributes nearly 40% to the national economy. In Togo, it is estimated that land degradation affects about 85% of arable land.